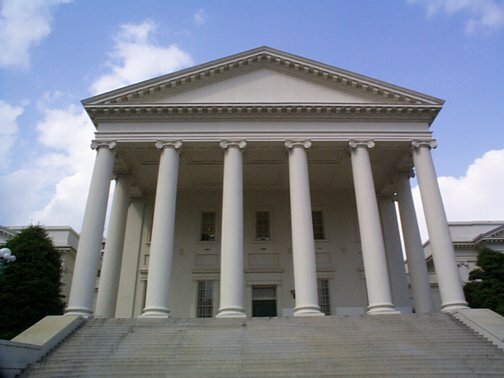 This week Virginia’s General Assembly took action on a good many of the bills we are following. For a fuller description of the bills and information on how to access the bill language, refer to my previous posts. At the end I’ve also added comments on a few additional bills you may have read about. Solar panels on their way to being redefined as pollution control equipment. SB 418 (Hanger) passed the Senate. HB 1239 (Hugo) passed a House Finance Subcommittee Thursday and is expected to pass the full committee next week. Following the subcommittee hearing, proponents agreed to add a 20-megawatt limitation on the size of projects that can qualify for the tax-free treatment. Obviously, this project size won’t stop any projects in Virginia, but the amendment satisfied the only opposition the bill had encountered, from the Virginia Municipal League. HOA bans on solar may soon be a thing of the past. SB 222 (Petersen) passed the Senate unanimously and now moves the House. Petersen added an amendment sought by HOA interests that would preserve solar bans if they were included in the underlying deeds, as opposed to in HOA contracts. As no one knows of any deeds prohibiting solar, this seems to have removed the only opposition to the bill without actually limiting its effectiveness. Investment tax credit/grant facing headwinds. HB 910 (Villanueva) was heard Friday morning in a 5-member subcommittee of House Finance, which voted to table the bill. Usually this is fatal to a bill, but advocates who were there say in this case they do expect the bill to come before the full committee on Wednesday, and the tabling is a temporary measure while $10 million is found in the budget to cover the cost. The Senate companion bill, SB 653 (Norment) remains in Senate Finance and has not been heard yet. It has been converted to a $10 million grant in accordance with the committee’s policy to reject most new tax credits but consider grants instead. Two RPS bills rendered almost meaningless (but they pass! ), one killed unceremoniously. Both SB 498 (McEachin) and HB 822 (Lopez) originally would have made modest improvements to Virginia’s sad, toothless, voluntary, RPS. Facing utility opposition, the bills were made even more modest, amended down to consist of nothing more than 5-year “banking” limits on the length of time utilities can hold onto RECs. States with real RPS laws generally have 2-year limits. Virginia currently has no limit at all, which not-just-theoretically allows utilities to stock up on enough pre-world-war II, out-of-state hydro RECs to last through 2025. So any limit at all is an improvement. And the bills seem set to pass both chambers, so you should thank Dominion for its generosity in allowing this to happen. Meanwhile, HB 1061, Delegate Surovell’s “Made in Virginia” bill, was killed in Thursday’s House energy subcommittee. Efforts to expand net metering fail in the House, will be heard in Senate Monday. Solar advocates and industry members successfully beat back Dominion Power’s bid to hijack the multi-family net metering provisions of HB 879 (Yost) and HB 906 (Krupicka). Alas, Dominion got its revenge Thursday in the House Commerce & Labor energy subcommittee, where the Republican majority had clearly come prepared to kill the bills. The two bills, plus Delegate Surovell’s solar gardens bill, HB 1158, were tabled with little debate, though with dissenting votes from the subcommittee’s three Democrats. Meanwhile over in the Senate, SB 350 (Edwards) is scheduled to be heard in Commerce & Labor on Monday afternoon. Like the House bills, the Senate bill as drafted addresses both multi-family and municipal net metering. House energy subcommittee kills effort to add price stability to factors to be considered in new generation. HB 808 (Lopez) was tabled Thursday in the House energy subcommittee. And don’t go considering the environment, either. HB 363 (Kory) was also killed in the House energy subcommittee Thursday. On-bill financing effort fails for the year. HB 1001 (Yancey) was continued to 2015 at the request of the patron, a face-saving way to withdraw your bill when you find it really isn’t ready for prime time. The bill faced utility opposition, but also had flaws that the delegate wants to work on. “Continuing” it rather than withdrawing it signals that we can expect another effort next year. Adding energy and water conservation projects to the powers of local service districts fails. HB 766 (Bulova) was tabled in a subcommittee of the House Counties, Cities and Towns committee. Crowdfunding bills fail. Both HB 880 and SB 351 failed in committee. All right, time for some good news. Bill to impose a new gas plant on AEP fails. My understanding of HB 1224 turned out to be mistaken; AEP did not seek this legislation. Instead the proponent of a new gas plant in AEP territory is the would-be developer, which resorted to legislation when its efforts to sell the utility on its proposal failed. Following a far more spirited and extensive debate than was afforded to far better bills, HB 1224 failed to get a vote to move it out of the House energy subcommittee. Hampton Roads “recurrent flooding” study passes Senate, moving through House. SJ3 passed the Senate, while HJ16 was reported from House Rules subcommittee with an amendment shrinking the size of the commission doing the study. Still no mention of why recurrent flooding is happening. Some protections from fracking pass Senate Ag. SB 48 (Stuart) passed the Senate Agriculture committee unanimously. The bill provides some protections for drinking water from impacts related to oil or gas operations proposed in Tidewater Virginia. I haven’t analyzed this bill; for more information, contact the Southern Environmental Law Center, which supports the bill. Attempts to nullify federal law (said to) fail. I’m told Bob Marshall’s HB 140 and HB 155 both died in a subcommittee of House Privileges and Elections, although the website still shows them in committee. Possibly they simply failed to gain a vote, which is one way bills die. Saner heads prevail (mostly) on anti-EPA bills. SB 615 (Carrico), the “Carbon Dioxide Emission Control Plan” designed to ensure the continuation of carbon dioxide emissions, was in trouble even before Democrats took control of the Senate. The senator changed the bill to conform it to HB 1261 (Chafin), which called for a study with the same purpose. Under pressure from the governor’s office, the bill was amended to study not just the costs to industry and ratepayers of complying with EPA regulations, but also the benefits. In Senate Ag Thursday, still facing heavy opposition to the bill from the environmental community, Carrico accepted an amendment from Chap Petersen that took out the worst remaining provision, one that would have restricted the state from proposing any standards more stringent than the EPA required. The bill then passed unanimously. Later in the afternoon, HB 1261 was conformed to the amended language of SB 615 and passed handily. The bill remains weighted towards findings favorable to the fossil fuel industry, but it is hugely better than it was. But lest we feel progress is being made in Virginia . . .
Dominion’s rate boondoggle shows excellent prospects. Really, you have to admire the way Dominion Power pushes through bills it wants and kills the ones it doesn’t. Dominion is the single biggest contributor to Virginia’s politicians, after the Republican and Democratic parties, and the company gets its money’s worth. But it’s not just the way it kills smart energy policies that impresses. Take HB 1059 (Kilgore), which would allow—nay, require!—Dominion to begin charging customers for $570 million it has spent towards a new nuclear plant, plus a couple million towards offshore wind, money it would ordinarily recover only when the projects are built. Stephen Haner, a lobbyist for Newport News Shipbuilding, delivered a valiant and spirited defense of ratepayers in opposing the bill during the meeting of Thursday’s House subcommittee on energy. The real reason for the bill, he explained, is to prevent Dominion from having to give its customers hundreds of millions of dollars in rebates as a result of having earned too much money these past two years. Two years of over-earning would also lead to a reduction in rates for consumers going forward, threatening the bottom line still further. Dominion has figured out it can avoid that result by adding the money spent on nuclear to the balance sheet, thereby canceling out that pesky excess revenue and avoiding a rate decrease. For more on this, see the article in the Richmond Times-Dispatch. Separate bills in the Senate–one for nuclear, one for wind—also empower the boondoggle. SB 643, the offshore wind bill, remains in Senate Commerce and Labor and is not on the docket yet. But the nuclear bill, SB 459, has already passed the Senate unanimously, a testament to Dominion’s charm if there ever was one. In addition to requiring our utility monopoly to charge us for its costs in planning and developing a new nuclear facility, it states as a matter of law that this development is in the public interest. Really, guys? How do you think the public would vote? This entry was posted in climate change, legislation, Renewable energy, Solar and tagged Dominion Power, energy, environment, net-metering, renewable energy, RPS, solar, Virginia. Bookmark the permalink. What’s the status of efforts for hybrid vehicles to retain their HOV/HOT eligibility? Thank you Ivy for the updates – a mixed bag of news – progress is slow indeed!